Getting a physical health check-up is a good way to stay healthy. The best place to have this is at your general practice. If you have a mental illness, this can understandably become the focus of your time with your GP. To make the best use of the time, be clear about what physical health issues you want to discuss. See Preparing for your doctor's visit for information about how to prepare. If you want to, you can take a support person with you to your appointment. Mental Health Advocacy and Peer Support (MHAPS) and Comcare Trust can offer a peer support person. You can also ask family, whānau or friends. You should talk to your GP about your medical history and your family’s health history. Also, ask for guidance on healthy lifestyle, especially physical activity and healthy eating. If you smoke, you should discuss the negative impacts of smoking and what help may be available to reduce your smoking or quit altogether. During your check-up you can also talk to your GP about any other physical health concerns. weight and body mass index (BMI) to check if you're overweight or underweight. See Medications for mental health issues for information about your specific medications including side effects that might affect your physical health. See the following pages for information about how you can stay physically healthy. Some lifestyle and medication issues can make people with mental illness or addiction more likely to have certain health issues. If you're assessed as having a high risk of heart problems, you should have an annual heart check. The best time for this is at your yearly physical health check with your GP. You may have developed diabetes or have a higher risk of developing diabetes in the future. If you have diabetes or prediabetes, or if you're overweight, inactive and taking antipsychotic medications, regular health checks are very important. Not all of these screening programmes are publicly funded. Talk to your GP if you have any concerns about cancer. Also see Steps to reduce your cancer risk. Oral health is important for overall health so it's important not to neglect this. It's important that you have regular dental check-ups and practice good oral hygiene. If you're taking medication for your mental illness, see Oral Problems with Psychiatric Medications. There are some options for subsidised dental treatment. See Dental care for adults for more information. People with mental illness or addiction may make choices with sexual partners that put them at risk of sexually transmitted infections, or unplanned pregnancies. Sexual contact, injecting drugs, and things like tattooing with non-sterile needles increases the risk of blood-borne infections like HIV & Aids and hepatitis C.
When you make your appointment for your physical health check, ask if your general practice has any funding to partly or fully pay for your check. 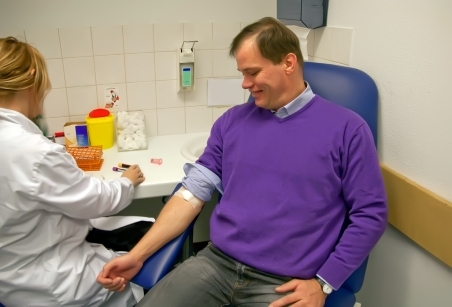 Blood tests are free at laboratories. There may be a charge if a practice nurse at your general practice takes the tests. See Financial support for health costs for more information about help you may be able to get for health costs.